California Highway Patrol officers on”‘maximum enforcement” in San Diego County arrested 55 motorists on suspicion of drunken driving in the first 36 hours of the Labor Day holiday weekend. The arrests were made on county freeways, and unincorporated roads patrolled by CHP officers, between 6 p.m. Friday and 6 a.m. today, Officer Robert Catano said. No roadway deaths were reported by any law enforcement agencies during that time. The total number of arrests was up 21 from the same reporting period last year, when there were 34 drunken driving arrests in the first 36 hours of the Labor Day weekend, Catano said. CHP officers arrested 22 drivers on suspicion of drunken driving in the holiday weekend’s first 12 hours, from 6 p.m. Friday to 6 a.m. Saturday. Drunken driving arrests made by CHP officers in the first 36 hours were down statewide from last year, from 832 to 767, but fatalities were up from 14 to 18, Catano said. Thirteen of those deaths occurred within the first 12 hours of the weekend. Local law enforcement agencies made seven other drunken driving arrests on Friday night and early Saturday morning at four checkpoints across the county. 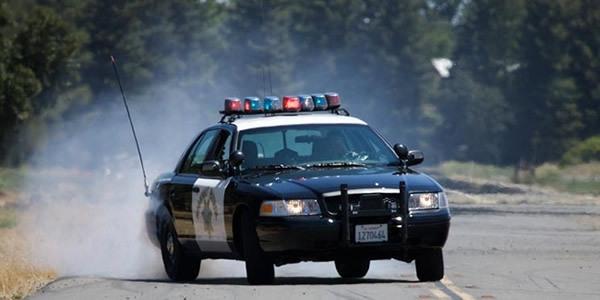 The CHP’s annual Labor Day “maximum enforcement period” continues through 11:59 p.m. on Monday.